New SanDisk just released its newest product, called Ultar SSD. Hard disk that can read files with a maximum speed of 280 MB per second is available in three sizes, namely 60 GB, 120 GB and 240 GG. Director of Marketing SanDisk SSD Ultra Claiming that will provide significant benefits for consumers. 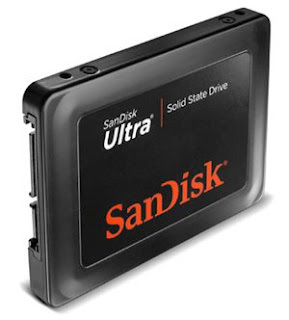 "Rather than buying a new PC, you better buy SanDisk SSD Ultra," he said. He explained Ultra SSD 60 GB priced at USD 129.99, or about 1.1 million, about 1.8 million USD 219.99 for 120 GB, and lastly you can get the Ultra 240 GB SSD at a price of USD 449.99, or 3.8 million. Besides having an impressive speed of reading data, the tool is also able to write data up to 270 MB per second.